Do you have experience managing Google AdWords accounts and an interest in writing? we’re looking for writers who can write 1 to 10 articles per month for our blog. And if you have any other sites that you write for or could write for we would be interested in speaking with you as well about that opportunity. Please call us at the phone number at the top of this page or fill out our contact form. Today we sent out 2 emails to two new clients who just completed our 60 day risk-free trial. It’s a lot harder in 2017 to generate these kind of knock-it-out-of-the-park results. Here is an overview of the PPC account performance for the past 6 months for the Memphis L aser Clinic. They do laser tattoo removal, laser hair removal, and much more. We took over February 3 2017. Monthly lead volume has been 5 times higher the past two months compared to the previous four months, and CPL has been down 85%. To be honest this is the exception rather than the norm for new clients to see results this good (30%-50% improvement is usually more realistic). But it shows that it is still possible in 2017 to generate these kinds of impressive improvements when you take an account that hasn’t been professionally managed. This is why you don’t want to try managing paid search yourself especially if you are spending over $2000 per month. And here are the specific practice areas where we were able to deliver the best results. A conversion is either a contact form submission or a phone call. And here are results for another client, LienItNow – they do mechanics/construction liens for contractors. 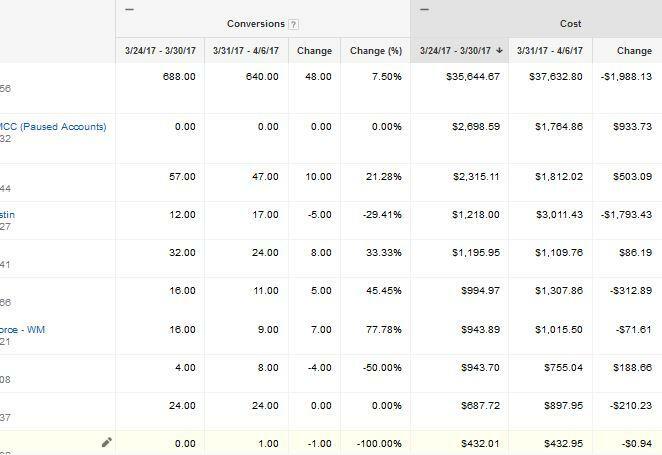 Below is a summary of their AdWords performance over the past 6 months. Since we started working on their account we’ve increased conversion volume by 291% and lowered the cost-per-conversion by 79%! We started working with this client in early February 2017 so the last 2 months show our performance. After: More calls in 1 month than in all of 4 months before we started. Can we help you optimize your AdWords account? When Does Pay Per Click Advertising Not Work? Not many advertising agencies that manage paid search like to write about this. But there are times when paid search doesn’t work. The trick is knowing why paid search is failing your business. In some cases it’s because of tremendous competition and low barriers to entry. Other times it’s because your PPC management agency isn’t very good. We won’t try to cover the reasons for a failure due to poor management. But rather go into some scenarios where PPC just doesn’t work. The first scenario where we see a lot of failures are when you have low barriers to entry, and hundreds of competitors where location doesn’t matter. Take credit card processing. It’s not that hard to set up a firm doing credit card processing. There are hundreds of companies doing this nationwide. Your PPC account has to be perfect and your website perfect and your business reputation and your salespeople and you’re on boarding of new clients and your rates have to be the lowest…otherwise it’s going to be very hard to compete. And as of February 2016 there are no more than four ads at the top of a desktop search and none on the right-hand side. there are only so many keywords that drive substantial traffic in this industry: credit card processing, open a merchant account, debit card processing, process credit cards, plus a handful of others. Low-margin or low price products are difficult. if you’re trying to sell something for $20 or less then paid search might not be the way to go. Let’s say in your industry clicks are only one dollar. And let’s say you have a good conversion rate of 5%. It will take 20 clicks at $1 each to sell that $20 Trinket. Not exactly a path to riches. Paid search is likely going to be a failure in your case. 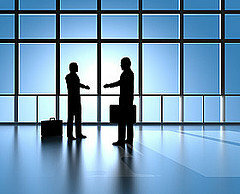 Industries where you have substantial competition from nationwide lead aggregators. Plumbers and locksmiths would be one example where you will find nationwide companies that bid on PPC and then sell the leads. so not only do you have to compete against local competitors but you could also be competing against large corporations who are adding several zeros to the end of your marketing budget and analyzing every factor of their paid search accounts and websites. It’s hard to compete against that. Affiliates. There are lots of rules that make it hard to advertise as an affiliate on the top paid search platforms. Thankfully the dozens of calls we used to get from affiliates have stopped along with the dozens of calls we were getting from tech support companies in India who were banned and were scrambling to find someone to get them online again. Paid search only works (for search and search partners) when people can search for a keyword to find your product or service. For new products that people haven’t heard about if there aren’t keywords to define your product then you have to look for other ways to market your product or service. Or try the display network. Paid search still works for lots of businesses. We’ve always seen tremendous success for law firms especially in personal injury, family law and pharmaceutical liability. Our specialty e-commerce clients are doing well – especially sectors with high barriers to entry where you need a large inventory and you don’t have too many competitors. We are always happy to give your honest opinion of whether we can help you or not. We don’t want to waste your time and it makes our reputation look bad if we take on a client that doesn’t have a high probability of being successful. Who will be managing my campaign? how much experience do they have? Can I speak with them before I sign up? You don’t want the most experienced person in the firm to sell you on how great their service is and then get stuck with someone with six months experience. how many accounts does my account manager manage? If the answer is more than about 20 then you might want to explore other alternatives where you will get more personalized attention. If your account manager is managing 80 accounts than that is 30 minutes a week to optimize your account. With Skype screen share or join.me or another screen sharing service can I see the change history for several accounts that you manage? See how many times a month someone is making changes to the account. If you only see changes made three or four times a month and it’s only five or 10 changes or fewer each time then there accounts are essentially on autopilot. And if you only see a half-dozen changes or fewer a-month then you definitely want to look elsewhere. Definitely check out the reputation of the agency you are hiring. Find their Better Business Bureau profile and search for the name of their firm plus the word complaints. Using a screen sharing program quiz the person who will actually manage your account. Have them show you the remarketing list for one of their clients in Google AdWords. If they can’t find it that’s a huge red flag as remarketing is one of the most profitable campaigns you can set up for your clients. 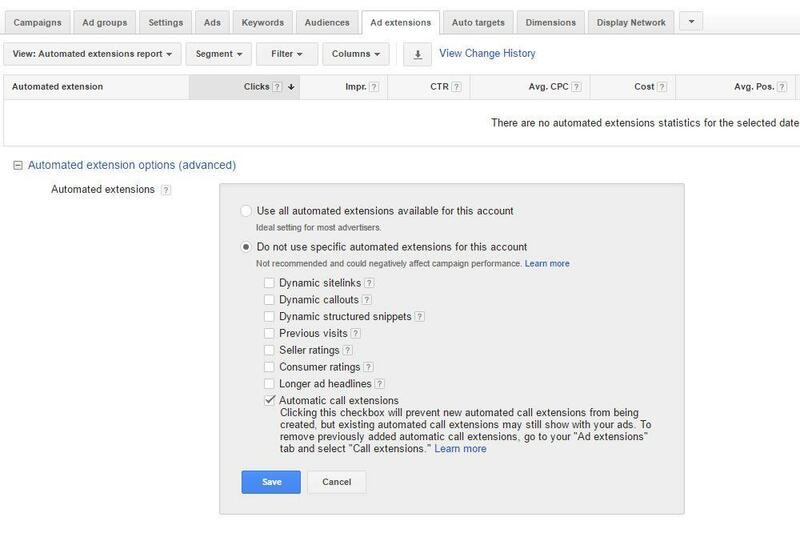 Next, ask them to show you how to change the mobile bid adjustment in AdWords. it is not uncommon that mobile will perform vastly differently than desktop so a top agency should know how to direct more traffic towards either desktop or mobile. 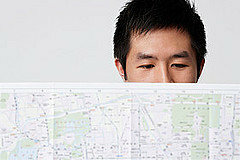 Ask the agency to show you where in Google AdWords you can set up click to call only. And last ask them to segment traffic by device over the past 30 days. All of these are very easy tasks for any agency. These are not curveball questions. Do you offer a risk-free trial or a money back guarantee? At Webrageous most account managers have more than five years experience and each account manager typically manages 10 or fewer accounts. We have an A+ Better Business Bureau rating. And we encourage you to check out our 60 day risk-free trial. 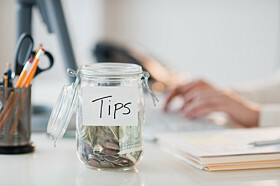 there is no setup fee and no long-term contract for most clients. 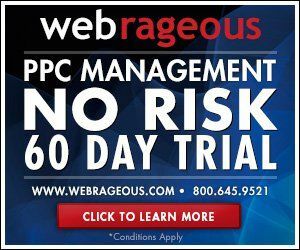 Webrageous is excited to announce a new 60 day trial for PPC management. We know no one else in the industry offering a free trial of this length for full-service Google AdWords management. Here are the details. Paid search seems so deceptively simple, how could you go wrong by doing PPC yourself? All that’s needed is a basic AdWords account and profile, a payment set-up with any major credit card, and small one-time set-up fee. With roughly 15 minutes of preparation, anyone can write an ad and trigger a basic PPC campaign. Then you just sit back and watch the money pour in, right? Oh, if it were only that simple. Many, many business owners have wasted their entire marketing budgets by assuming PPC were a basic trial and error experience. Consider each of your paid search campaigns to be like a high-end car; they need maintenance, care, and attention. If you ignore any warning signs that something might be wrong, things can get painfully expensive. Because PPC is brimming with hidden complexities and potentially pricey trappings, working with an expert firm can save valuable dollars and heaps of time and effort. To help you understand the dangers of going it alone, we’ve outlined all the crucial factors involved in a successful campaign below. If reading this list feels overwhelming, don’t fret; finding a PPC partner is less expensive than you might think, and it will simplify your life and help make your business the success it deserves to be. Most business owners have a deep understanding of their business, and a solid awareness of the industry as a whole. But the more intimately you know your competitors’ PPC campaigns, the more competitive you can, in turn, become. Who doesn’t like beating top competitors at their own game? This takes a tremendous amount of time and effort; competitive landscapes are tricky to analyze, and trends change so quickly, it is truly a daunting task to keep your finger on the pulse of the market’s current trajectories. 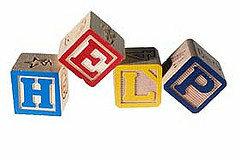 The selection of keywords to target in any PPC campaign is absolutely crucial to success. Proper determination of keywords involves a comprehensive understanding of your business, the overall niche and industry, and current search trends enacted by actual customers looking for your goods and services. Many entrepreneurs assume they have an instinctual understanding of what keywords are appropriate for their business, but without that data to back up those assumptions, people waste money on keywords that are either not actually searched for often or are not relevant to the exact things they’re attempting to sell. A good PPC partner has the tools to analyze real-time data, and can in turn help you correctly target keywords from day one. This is extremely important when it comes to saving costs on tests and assumptions that are miles away from your target. One of the most complicated nuances to a paid search campaign is computing the right pay-per-click (which is what PPC stands for!) A well-executed PPC plan has a balance of cost that draws in the targeted audience, and in turn actually generates conversions and sales for the business. As you can imagine, it’s not uncommon for PPC campaigns to generate higher traffic, but without careful strategizing before the launch about the quality of this traffic, the price per click may be wasted on unqualified leads, or visitors that don’t contribute to the company’s bottom line. This is a very common DIY mistake in paid search, and another prime reason you should consult an expert. Finally, there’s the all-important task of analyzing a given campaign’s metrics. Understanding the story PPC data is telling is no easy task, and it varies as the campaign increases in longevity. Having the awareness to know when to stay consistent or shift tactics takes a tremendous amount of experience and paid search knowledge. It also requires analysis by someone who is current on tools and trends in the space; two traits that most business owners don’t have the time to conquer. 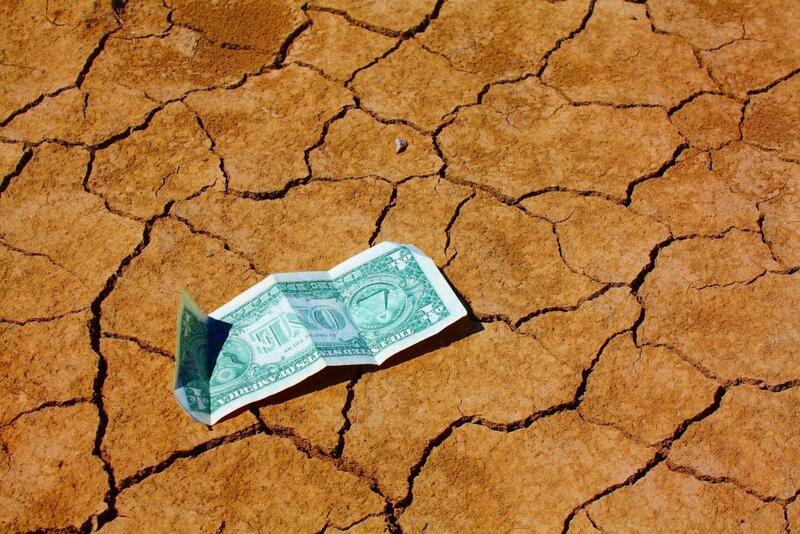 Paid search is a dicey, ever-changing landscape, which is why the DIY approach is so dangerous. If you’re a rare business owner who has spare time to devote to becoming a campaign expert, and it’s your passion to do so, that’s a beautiful thing. But for most entrepreneurs, all aspects of marketing are better left to the experts, or budgets are blown with little to no results. Paid search has an incredible ability to get positive results for your company in record time, but not if you make a continuous string of rookie mistakes. THANK YOU so much for the delicious gift! Everyone in the office is already diving in head first! We sincerely appreciate you guys and are happy to be back on board with Webrageous! I hope you and the team have a wonderful Christmas and a Happy New Year! I look forward to prosperous 2014 together! Got your Holiday gift and thank you so much. Very thoughtful. You folks have done great for us. I just wanted to thank you for the gift you sent from the bakery. That King Cake is delicious. I also wanted to thank you for continuing to provide such excellent service to me over the past 3-4 years. It has been a pleasure and I look forward to continuing to work together in 2014. Happy Holidays to you. Thanks guys! That bad boy was gone so quick. Happy Holidays. If you are reading this article then you are probably already aware that Google AdWords is one of the best methods of boosting conversions for your business. What you might be less aware of is the importance of combining this with top quality Google AdWords management. How do you produce a strong AdWords campaign? Here are a few reasons why Google AdWords management should be at the top of your list in terms of running a successful AdWords campaign. Google AdWords management means constant support. With Google AdWords management, you never have to go through it alone. There are many nuances to running a strong AdWords campaign and your management team will ensure that these are taken care of and perfected. Google AdWords requires a high degree of knowledge and training and without expert support you could find that achieving success is limited. But with Google AdWords management you will have support all the way through. 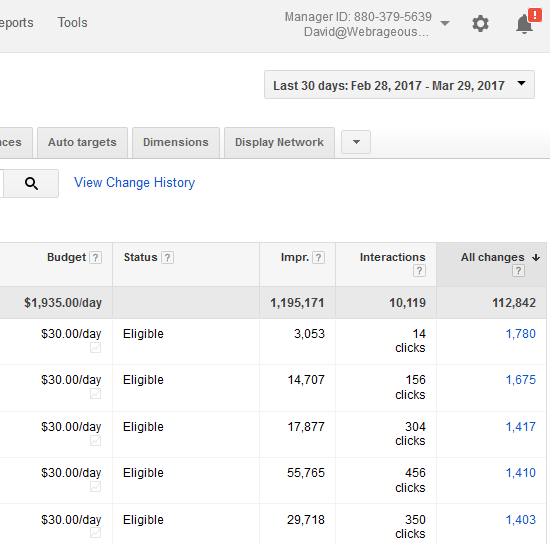 Google AdWords management means sticking to a budget. There is no reason why you should have to go over your budget if you have a strong AdWords campaign run by a great management team. The great thing about Google AdWords is that it can work with any budget as long as the managers of the campaigns know what they are doing. By outsourcing Google AdWords management you will have a team of experts who can deliver your business’ desired results without going over budget. Google AdWords management will make sure your campaign is highly targeted. Advertisers that choose to manage their own campaigns often find themselves being outbid by larger competitors. Google AdWords management will make sure your campaigns are highly targeted using the relevant tools on Google AdWords. This will increase your chances of marketing your products or services directly to those people who are seeking them and significantly reduce spending that is not resulting in conversions. Google AdWords management will allow you to concentrate on running your business. Google AdWords management is time consuming and requires a great deal of training and experience. By outsourcing Google AdWords management you are not only freeing yourself up from time spent researching and managing strong AdWords campaigns, but you are also able to get back to what you are good at – running your business. There is no point in having an unbelievably strong AdWords campaign if your business suffers in the meantime. Therefore, you have to make sure you seek out the experts in Google AdWords management to run your business’ advertising campaigns. Google AdWords management specialist Webrageous is more than happy to have a look over your business’ advertising needs and give you a strong AdWords campaign. Give us a call today at 800-645-9521 to find out how we can turn around your struggling advertising measures into a strong AdWords campaign. We can provide you with a free quote. You might also want to read this article on how Webrageous continues to excel at providing top quality Google AdWords management to businesses in need of an advertising facelift. The article is entitled The Best in Google AdWords Management. Who is the Best in Google AdWords Management for Hotels? When a potential hotel guest is searching the Internet to find a hotel to stay in during their vacation, it is incredibly likely that they will search for that hotel via Google. If your hotel is not being advertised via Google AdWords, you are losing out on a lot of customers. If you are looking for an internet marketing job, you should contact the Human Resources Department at Webrageous as soon as possible by following the instructions at the end of this post. There are many job opportunities that Webrageous has available for people looking for internet marketing jobs at present and we are an excellent company to work for if progression, development and challenges at work are what you thrive on. For a full list of the internet marketing jobs that are available at Webrageous at present, take a look at the article entitled Online Marketing Employment with Webrageous without delay. If Pay Per Click Advertisers should understand anything about Google AdWords Pay Per Click, they should understand that new Pay Per Click tools and features are developed constantly to improve both Pay Per Click Advertiser and Pay Per Click Customer experience. In recent weeks, Google AdWords Pay Per Click Developments have focused predominantly on Google AdWords Product Listing Advertisements. Webrageous Studios stays abreast of all developments in Google AdWords Pay Per Click Management and makes a point of keeping its Pay Per Click Advertising Clients up to date too through this Pay Per Click Blog and various articles published daily on its website. Webrageous knows that constant updates in Pay Per Click Management are important to its clients and readers because Google AdWords makes a lot of changes to its service and it can be difficult to keep up without the support of a Pay Per Click Expert. The updates to the Google AdWords Product Listing Advertisements are very useful to all Pay Per Click Advertisers in the US and Webrageous Studios wants to make sure that its Pay Per Click Clients are fully aware of the different tools and features that are available as soon as possible. The updates highlighted in this post today have been selected because Webrageous Studios feels that they would be useful to many of its clients and their respective Google AdWords Pay Per Click Campaigns. Do you remember when Google AdWords announced that its new Product Listing Advertisements were available to all Pay Per Click Advertisers to use within their Google AdWords Campaigns? Product Listing Advertisements via Google AdWords are advertisements which allow Pay Per Click Advertisers to bid on product-related keywords. Therefore, if you are a florist and you specialize in flower arrangements for funerals, you might want to bid on keywords such as “funeral flowers,” “funeral Bouquets,” or even “funeral wreaths,” as an example. When you bid on these keywords and you create your Google AdWords Advertisement, the Google Adwords Product Listing Feature will allow you to place a picture of your product next to the text section of the advertisement, which is clearly even more enticing for a potential customer. Google AdWords Product Listing Advertisements can help a business to generate higher CTRs thanks to their particular style and layout. Now that we are up to date with what the Google AdWords Product Listing Advertisement actually is, it will make even more sense as to why the ability to be able to use negative keywords alongside these advertisements will allow Pay Per Click Advertisers to optimize their Pay Per Click Campaigns even further. Clearly, the thought that goes into the choice of negative keywords demands a lot of consideration and time, but the fact that Google AdWords has made this feature readily available is already a step in the right optimization direction for all Google AdWords Pay Per Click Campaigns. If you need some help in the selection of negative keywords for your Google AdWords Product Listing Advertisements, or for any kind of Google AdWords Pay Per Click Advertisement come to that, do not hesitate in contacting Webrageous Studios directly today as we will be able to help you. All of our Pay Per Click Managers are highly experienced and Google AdWords Certified. Finally, if you want to find out more about using Google AdWords Product Listing Advertisements in your Pay Per Click Campaign, Webrageous Studios would again be more than happy to hear from you to talk you through the various options available.